As little boys, Chris and Donnie Davisson went to the Grand Ole Opry and saw Alison Kraus and Little Jimmy Dickens. 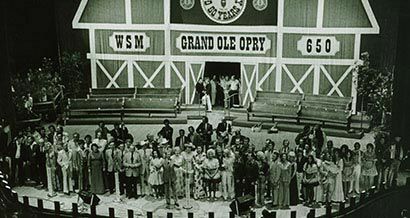 They had watched and listened to the Opry show from their farm in rural West Virginia, but being there live was big and the boys were all eyes and ears. 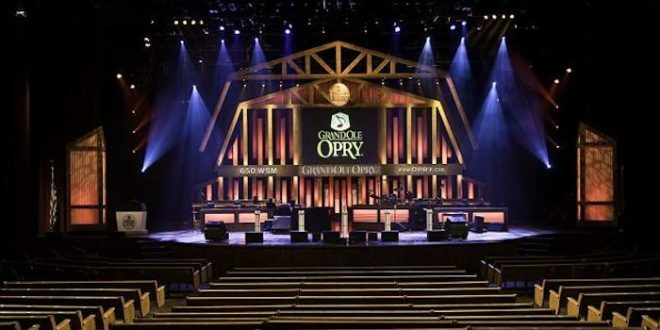 “We went with our aunt and uncle for a family getaway weekend,” said Chris, remembering how they soaked up the whole experience, touring the opry and meeting the folks behind the scenes. Someday, they would play there. The brothers can check that off their bucket list. 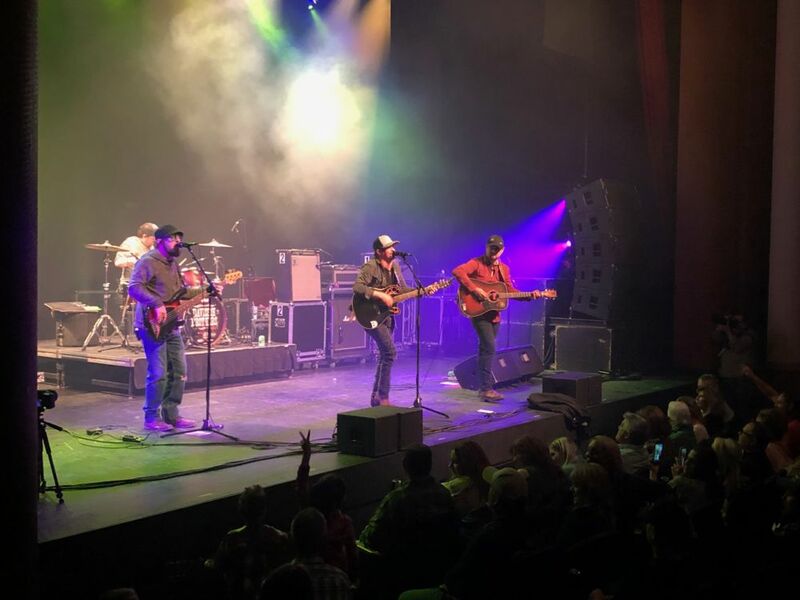 Tuesday night, the Davisson Brothers Band – Chris and Donnie Davisson, Rus Reppert and Aaron Regester - stepped onto the Grand Ole Opry stage and played their hearts out. Thursday night, I got to talk to Chris about it all and he was pretty pumped. He said he truly loved every minute of the Opry performance and that the crowed rocked it. In fact, the band received not one standing ovation – but two. The tunes that brought the Opry fans to their feet were the 2009-relased “Chicken Train” and “Pond Fishing,” recently penned by Chris and Donnie. It was just about a month ago – as the band had just returned from Reno - when they received the call. It’s a call forever imprinted in Chris’s mind. The lineup was Dailey & Vincent, Ashley Campbell, Travis Denning, Connie Smith, Justin Moore and Janson. The stage that made country music famous also made a Davisson Brothers Band dream come true. Friday night, the guys - produced by the Grammy-award winning Keith Stegall - brought the same show to Clarksburg’s Robinson Grand Performing Arts Center and, as always, the audience was very receptive and enthusiastic and is often the case these days, the show was packed to capacity. "We were a sold-out house with about 1,000 in attendance," said RGPAC Sales & Marketing Manager Emily Moore. 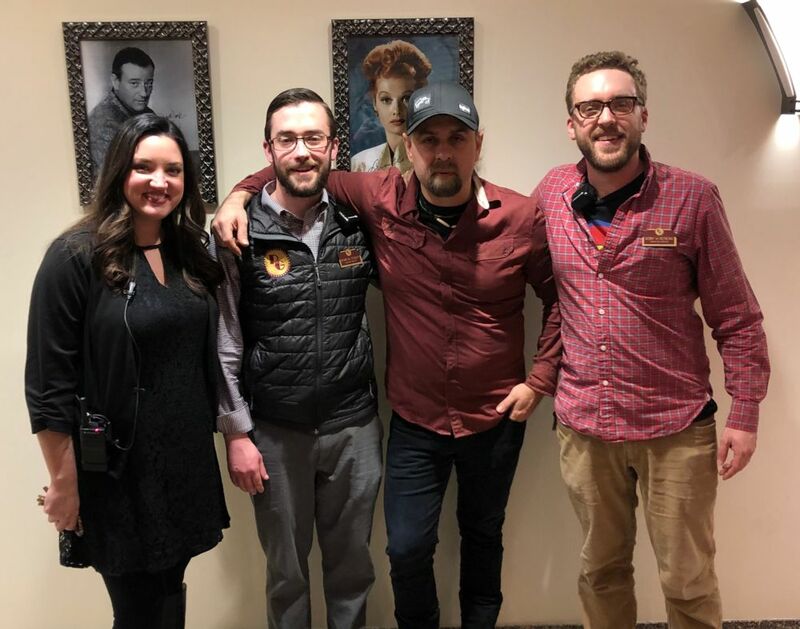 "Bringing the Davisson Brothers home to perform on our stage for our community after all their time on the road and in Nashville on the Grand Ole Opry stage was such an honor." If anyone knows the value of home and community, it is the Davisson Brothers, Moore said. "Coming to their hometown theatre was a beautiful collaboration that we hope to repeat in the future," she said. 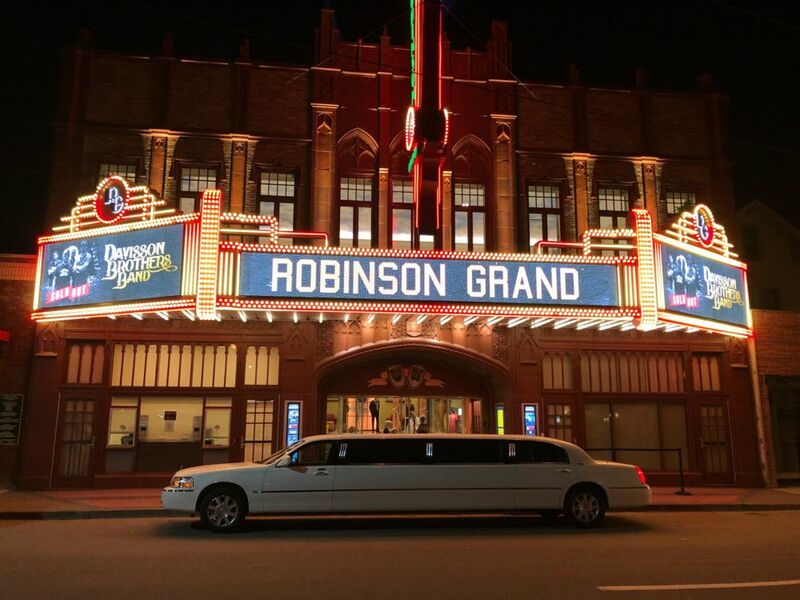 Editor's Note: Pictured just below are the Davisson Brothers Band playing the Robinson Grand Performing Arts Center. Also pictured below is Chris Davisson with RGPAC's Emily Moore, Ryan Tolley and Bobby Rexroad. If you want to see DBB live in concert, check out their schedule HERE: davissonbrothersband.com. 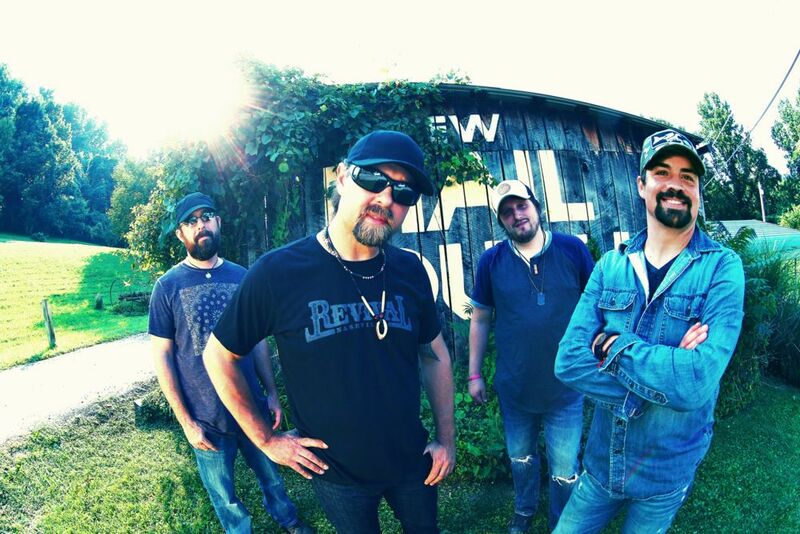 Founded in Clarksburg, West Virginia, The Davisson Brothers Band is a contemporary country foursome featuring real life siblings Donnie Davisson (vocals) and Chris Davisson (guitars), plus bass player Russell Rupert and drummer Aaron Regester. Featuring an authentic country sound rooted in time-honored Appalachian tradition and infused with smooth Southern-rock energy, the band made their Top 40 Billboard Country Album debut in 2009 with the self-titled Davisson Brothers Band. 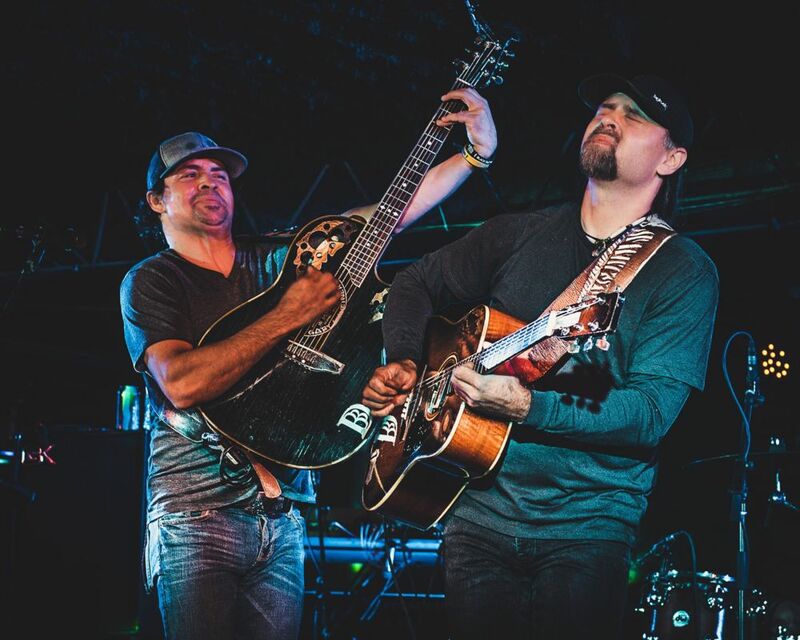 After establishing themselves on tour around the nation with acts like Chris Janson, plus a writing credit on the theme song to ESPN’s Baseball Tonight, the band released the reflective single “Jesse James” in 2015, which was played extensively on SiriusXM’s The Highway. 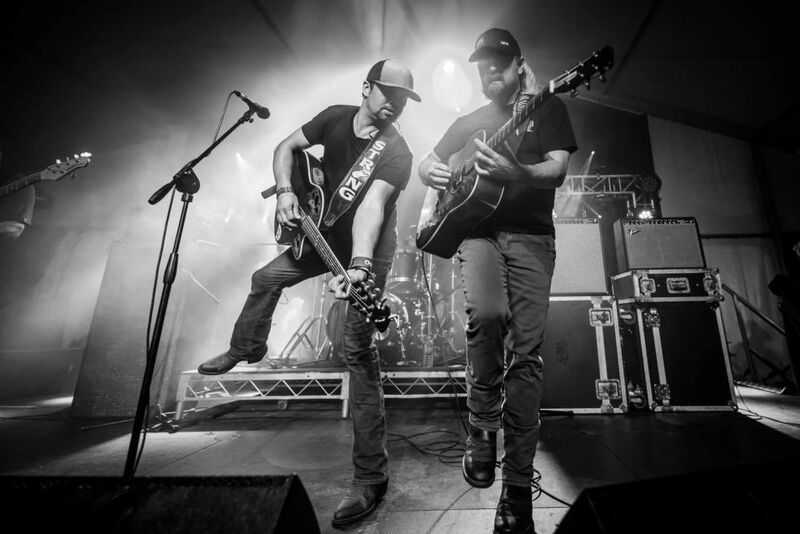 Grammy winner Keith Stegall (Alan Jackson, Zac Brown Band) produced the band’s 2018 sophomore album, FIGHTER, which featured the work-hard-play-harder anthem “Po’ Boyz.” The Davisson Brothers Band was invited to perform at Australia’s CMC Rocks Festival in 2018 and continues to rack up the miles, as well as accolades.